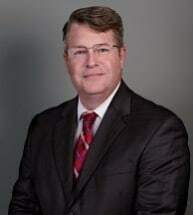 Mr. Hughes is a partner with Casey, Bailey & Maines, PLLC in Lexington, Kentucky where he has a broad based litigation practice handling matters in the areas of products liability, fire loss, trucking law, premises liability as well as the defense of professional liability claims. Mr. Hughes work has also included representation of recreational product, automobile and motorcycle manufactures as well as work for a Class I Railroad with trials throughout the Commonwealth of Kentucky. Mr. Hughes is a member of the Defense Research Institute (DRI) and currently serves as the Vice-Chair of the Trial Tactics Committee.